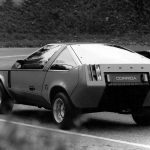 Twenty years before the brilliant Puma emerged, Ford’s talented Ghia styling studios had a crack at at building a sports coupe based on the brand-new Fiesta. 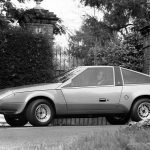 Although these pint-sized sports cars were all the rage with the Italians (look at the Fiat 850 Coupe or 128 3P for a couple of great examples), in 1976, cars such as this were very much against the grain at Ford. In fact, Project Bobcat and its massive new Valencia factory was still seen as a bit of a risk by Uncle Henry… Funny to think that now, given the Fiesta is still very much with us today. 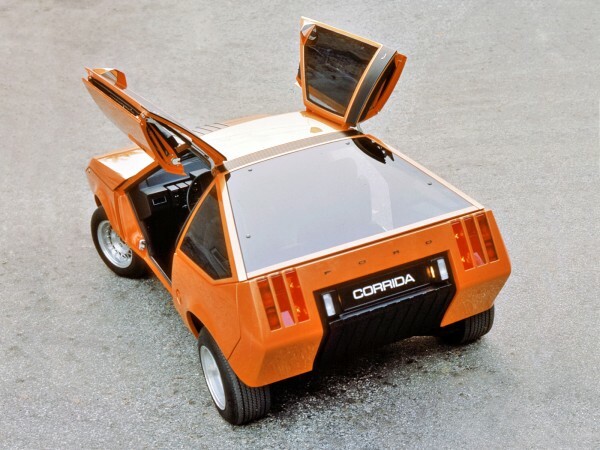 The Corrida was shown at the 1976 Turin Motor Show and, underneath its origami styling, were the running gear and platform of the Fiesta. 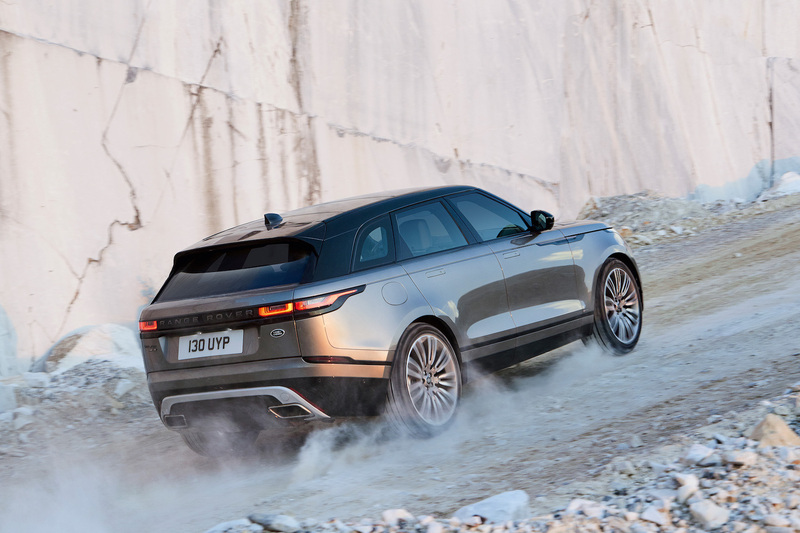 Unique features included hydraulically-assisted semi-gullwing doors and an all-new interior. 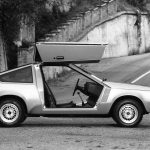 In true motor show style, the Corrida didn’t major on practicality, with its modular dashboard and bumper-hinged split tailgate – but it proved that small front-wheel-drive platforms were more than capable of siring appealing sporting coupes. Would a watered down version have sold in the late-1970s? Very interesting concept. 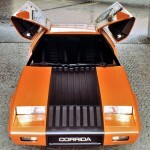 I had a Fiat 128 3P Berlinetta for several years in the seventies. It was recommended by Car magaazine and introduced me to the joys of Italian cars. It was followed by 2 Alfa Romeo Alfasud Green Cloverleafs. I thus had about 12 years of really fun cars to drive! Great memories. Compared and contrasted with Wayne Cherry’s Equus, this car looks like a kit car, and has not dated at all well. 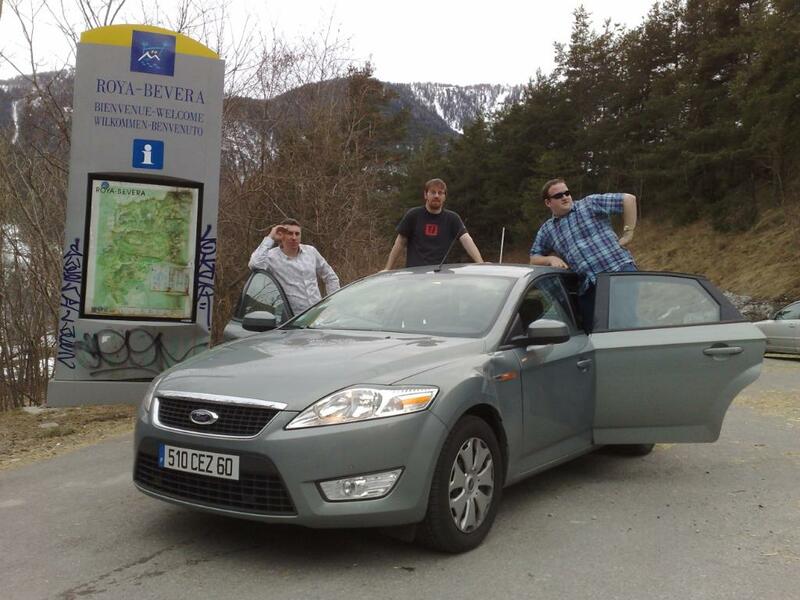 Damn shame Ford didn’t come up with something better that could conceivably have been productionised. It’s a huge shame they didn’t tone it down and put it into production. Ford also lost an opportunity with the Barchetta (not to be confused with the Capri Barchetta, a different story altogether). Car history is littered with missed opportunities as we all know, but Ford missed a trick with the Barchetta, priced right it could have been a big seller. The GTV was quite a short car, and was good looking to my eyes. 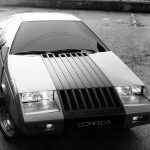 Paninfarina hid the dumpiness with the slash from the C pillar to the wheelarch, with a MINI style clamshell bonnet on top at the front. 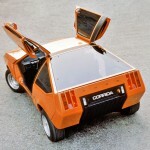 While the 1978 Ford Fiesta Tuareg (Ghia) http://www.carstyling.ru/ru/car/1978_ford_fiesta_tuareg/ was before it’s time, when superminis are starting to become SUVs (cf. Juke) – the boxy body was even reminiscent of the mk2 Polo. Mid 80s concepts all looked like the back-to-the-future-2 2015 cars. About the same time there was a generic red wine marketed under the name Corrida. It matched this car very closely : it was utterly disgusting ! So that’s where VW got the name for the Toe-rag, a 1970’s Ford Fiesta concept! Kids, this is why you should not take drugs. They must have been stoned to think that was any good. The styling only seems to work from the side elevation although the door handles would induce severe backache! Compare with my Toyota Sera which came along ten years later and only sold 16,000. I think the Fiat X1/9 would have cleaned this market up.